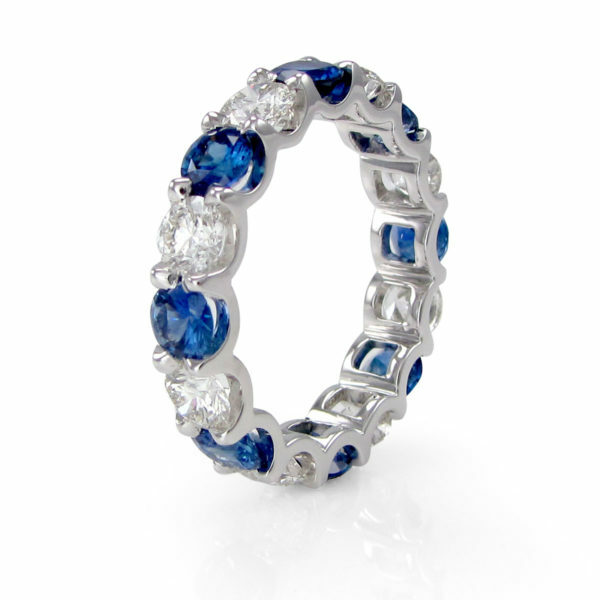 Blue Sapphire and Lab-grown diamond eternity ring. 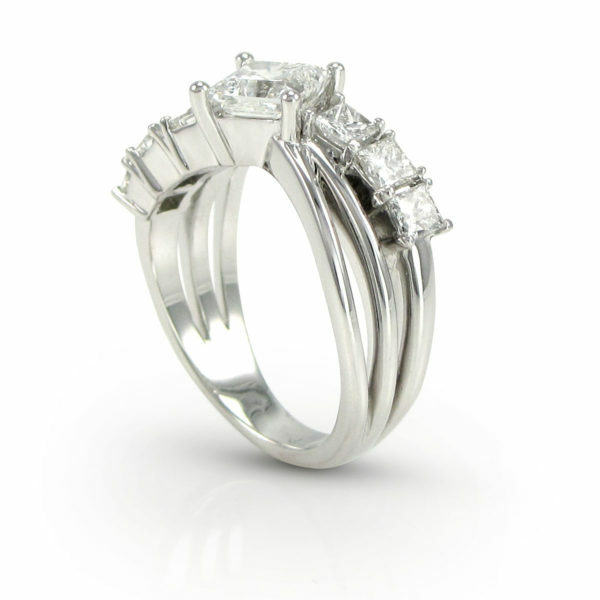 Lady’s 5mm wide matching platinum wedding rings, each weighing 11 grams, and finger size 6 and 7 respectively. 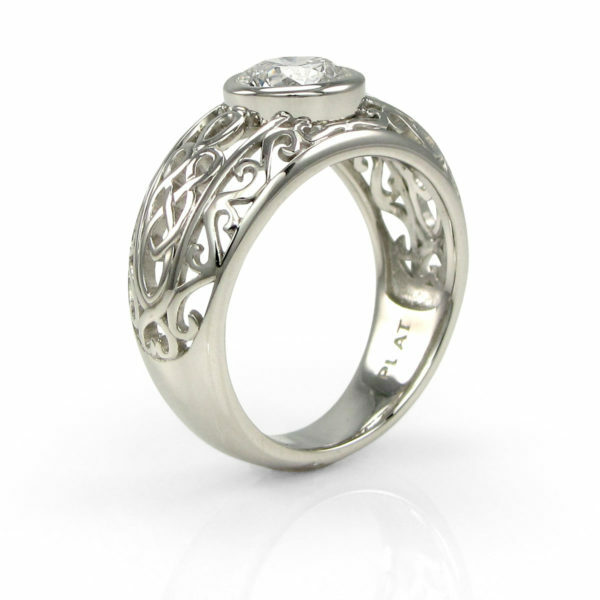 Each ring has recessed into opposite shoulders the Hebrew word Chai (life) and the Chinese symbol for love. 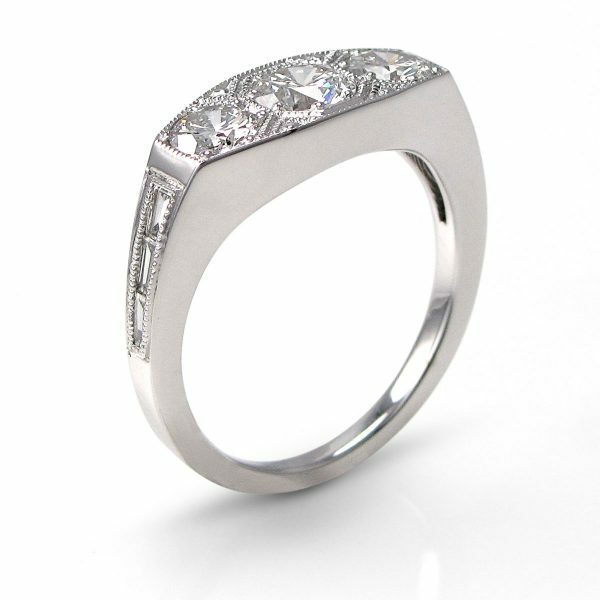 And each ring is flush set with one square cut ruby, 3.35mm in diameter, weighing 0.21ct each.